Want an easy way to decorate your home for the holidays? Set out a few Christmas plants and you'll spread cheer to all who visit this season. 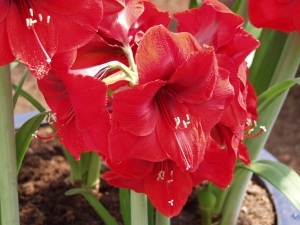 Big, crimson trumpets of amaryllis herald the season on your mantel or buffet table. Red still rules for the holidays, however new cultivars offer a spectacular variety of shapes, colors and patterns to choose from each year. 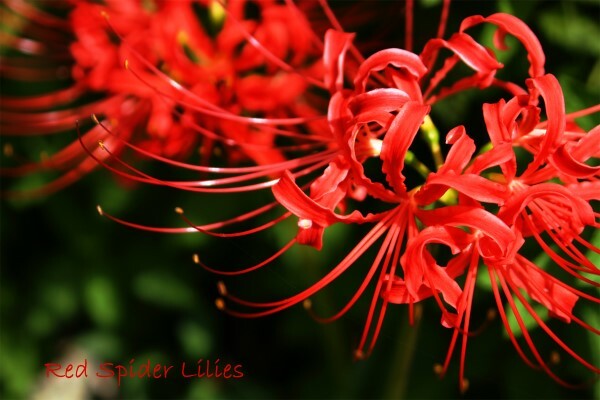 Red Spider Lily (Lycoris radiata), shown at right, is another dependable bloomer in the amaryllis family. Its striking clusters of blooms add gorgeous color to your home in an unexpected twist on the traditional. 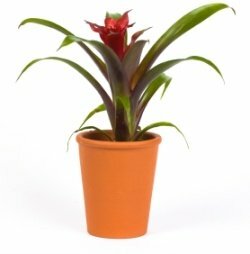 Although these festive plants are popular in the winter months, keep in mind that many are tropical and like the same warm temperatures that we do. Don't display them close to drafty doors and windows. Tropical plants also enjoy higher-than-average humidity. That can be a little challenging in a centrally heated home, where humidity levels can drop drastically during the winter. However, there are a few things you can do to keep your plants healthy. Check out these easy tips for raising the humidity for your houseplants. 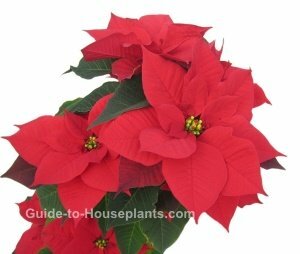 There's a reason poinsettia is the best-selling flowering plant in the U.S. -- just look at those vibrant red bracts! Newer varieties may be snowy white, burgundy or pink, but red is still the hands-down best-seller. These holiday favorites are tropical, brought into bloom by greenhouse growers in time for Christmas. Keep them at room temperature, with potting medium barely moist at all times. 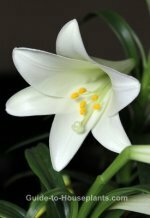 Fragrant paperwhite blooms nestled in a pot make a glorious display. 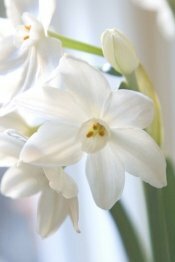 Just about the easiest bulbs to force indoors, it's no wonder why paperwhites are so popular. Paperwhites (shown at right) are often sold as kits for the holiday season. They're virtually foolproof -- just add water. Winter-blooming cyclamen is a beautiful accent for any room. Even those leaves are attractive, marbled with a silvery white lacy pattern. 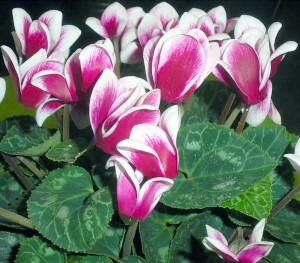 Unlike most house plants, cyclamen likes to stay fairly cool (around 60°F/15°C). Find a brightly lit spot for it, away from drafts and you'll enjoy several weeks of gorgeous, upright blooms. Beautiful blooms in all their splendor adorn this tropical cactus. 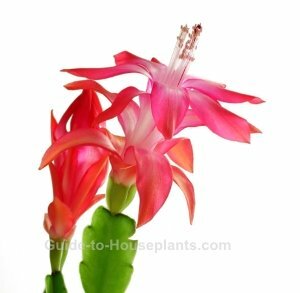 Christmas cactus has become wildly popular as a Christmas plant in recent years, and it's easy to see why. If you haven't grown one before, give it a try. You'll soon wonder why you waited so long. Given enough light, you can expect blooms every year in time for the holidays. Treat it right and you'll enjoy it for many years. Some of my visitors tell me they've had their Christmas cactus for 20 years or more. It's an easy plant to propagate, too, so you can start new plants and share cuttings with friends.